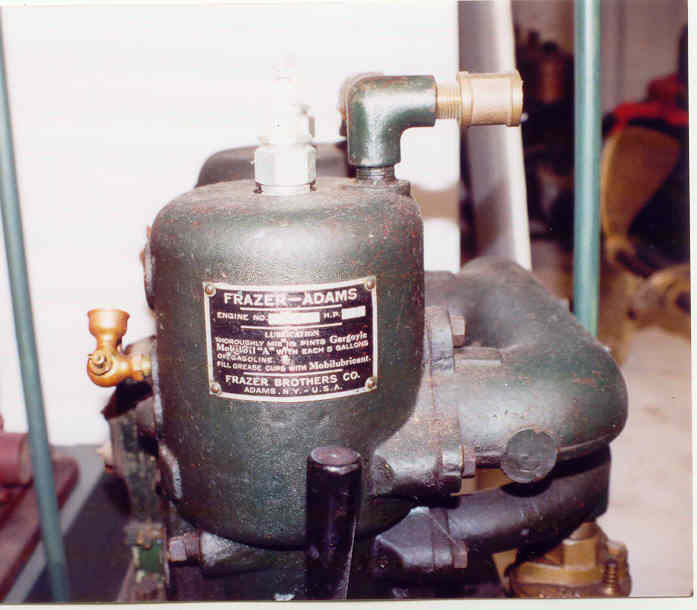 Old Marine Engine: FRAZER-ADAMS 2 cyl. 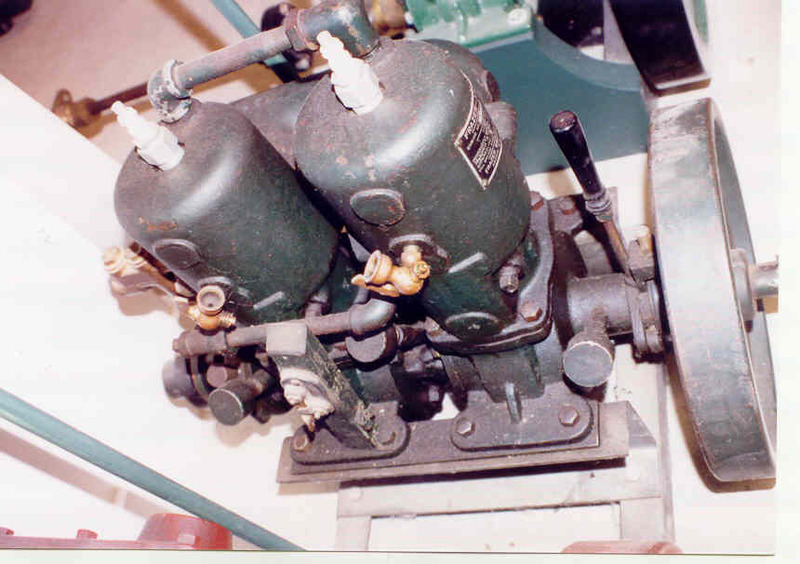 I recently obtained a 2 cyl marine engine. Name tag as follows,FRAZER-ADAMS,Frazer Brothers,ADAMS, N.Y. #137, HP 4,Can anyone give me any info as to date of mfg. etc.Thanks for any info as i am a newcomer to this hobby. I am away from home for a couple of weeks, I have some info on this mfgr that I will post when I return. 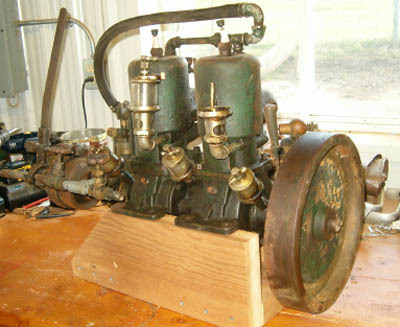 If possible post photos of engine here ! Richard Thanks for the quick reply. I will attempt to send a picture. E-mail me your pic/s and I will post them for you. Click on my name in the left column and it will go to my e-mail. Looks like a real nice engine! When looking into Wonder engs a few weeks back I came across these photos from the ABM ( Antique Boat Museum ) in Clayton N.Y. that I had taken in 2002. The only file photos I have of this Mfgr. This ABM engine that appears to be in excellent original condition, has the oiling instructions on the tag that would date it later than your eng with the oilers ! 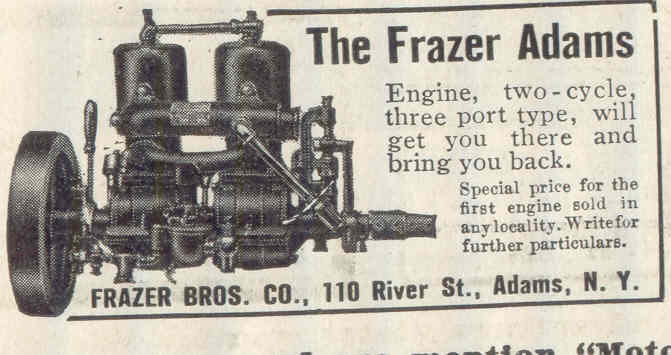 I find Frazer Bros mfg in a 1913 marine mfgrs list also have reference to them in 1912. Thanks for the info Richard,I would assume my engine to be around 1912. I noticed Johns engine has a gear box attatched to it. My single cylinder F A does not have one. 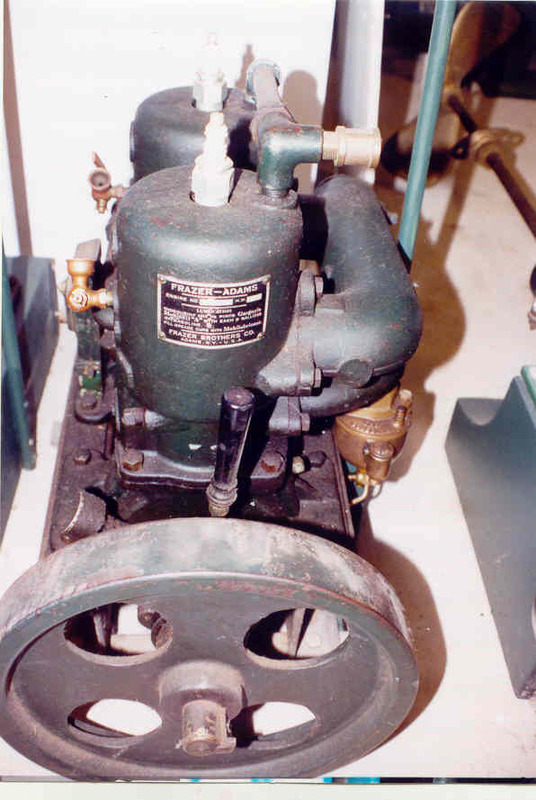 Were the singles equiped with gearboxes? 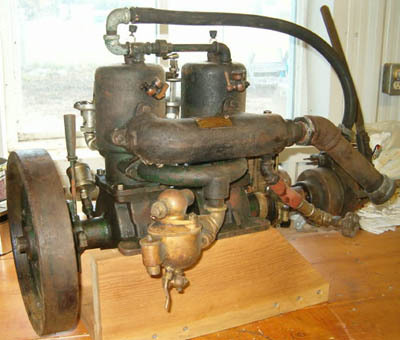 This litle single is a real sweet running engine. I would like to find all the neccessary hardware to install it in a boat and run it. Right now I just have the engine. Thanx for any information you can provide me with.